This is a very informational post! I always find it difficult when picking out Olive Oil, knowing which brand to choose. Will have to give this one a try. My signature dish would have to be my meatball stew. Hi Mitzi! Thank you for dropping in! 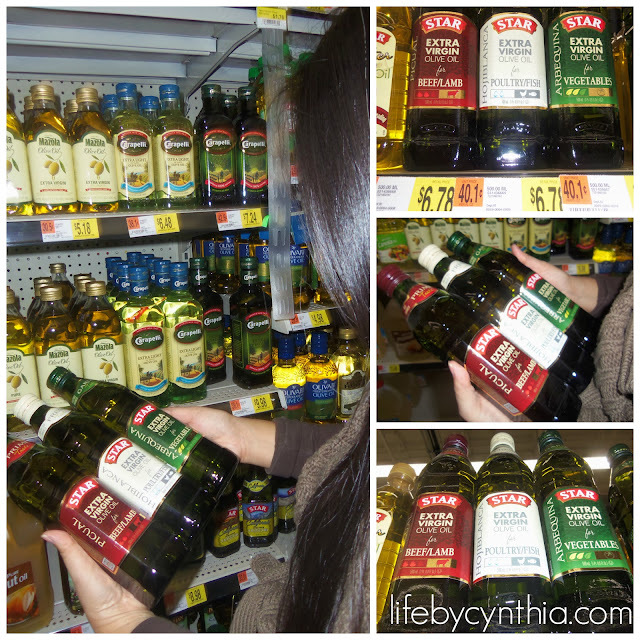 I could get lost in the Olive Oil aisle! Meatball stew sounds yummy! Great post. There really are olive oils that are better suited for different dishes (though you should never ever cook olive oil!!!). I got the opportunity for the first time to harvest our olives and press oil and once you taste real olive oil, anything in a jar is just not up to snuff but these do look like good alternatives to fresh for finishing a dish! Thank you for sharing Jacqueline! I love learning new things! I'd love to try freshly harvested pressed olive oil! I use olive oil constantly and certainly appreciate a quality brand. Will have to give Star pairing oils a try. Those scallops look crazy-good! Hungry for seafood now! Barb, there are so many choices out there, I make a point to read the label to make sure that it isn't blended with vegetable oil, some less expensive types tend to. Let me know how you like Star! Wow, that looks soooo good. My hubby would love this. I'll have to put this on the menu at home soon. To me olive oil´s just the BEST!!! I had no idea there were different varieties of olive oil! 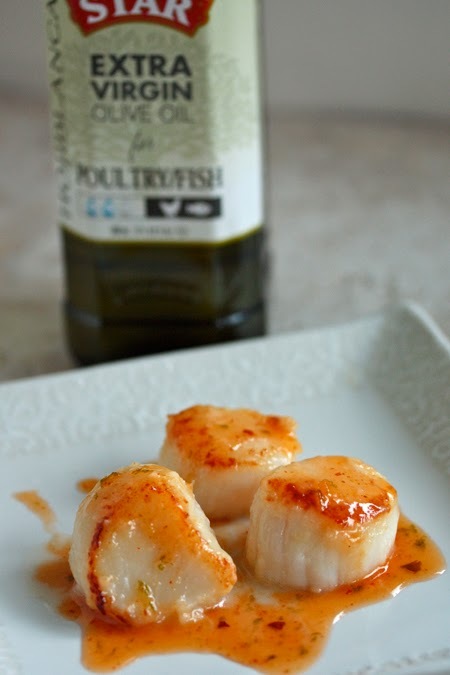 I would love to try making scallops someday. I'm real busy, so lately I've been relying on my new CrockPot that I got from Costco. It's so easy, I can even put frozen meat in, in the morning, and have dinner done by evening! Great advantage for the busy holiday season. I didn't know that there are so many different variants of olive oil..interesting.. will look out for them when we next go grocery shopping. I didn't know there were so many varieties either! I really want those scallops now! Ooh, Giada's looks so tasty! Don't you just love her? I always get stuck on the olive oil shelf, because they do all seem so good, and I never know which is the best to get. I have started using olive oil when I am cooking unless its a cake. I like it because it is a healthier option for me and my family. 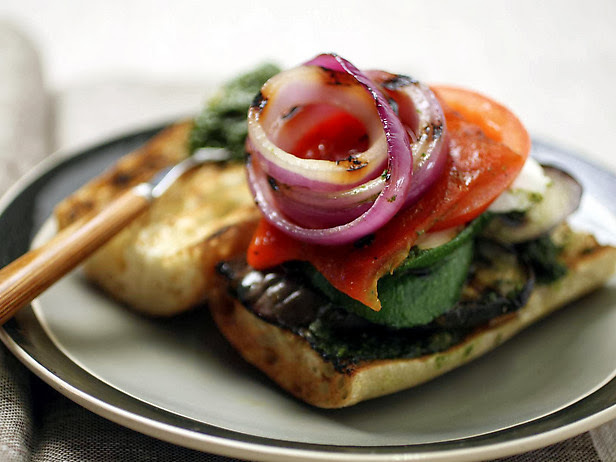 That veggie panini looks amazing! 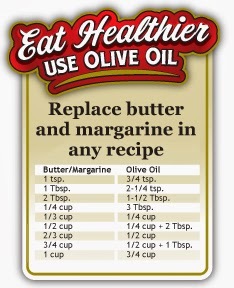 I love using olive oil for cooking!